You don’t have to be wealthy to become an investor. On the contrary, there are plenty of ways to invest smaller amounts of money. The key is finding investment opportunities that don’t charge excessive fees that can reduce the size of your profits. If you’re ready to give investing a chance, we go over some of the best ways to invest $1,000 without taking huge risks. Some savings accounts come with solid interest rates that help add to your savings incrementally. But by opening a portfolio of investments, you can begin to take advantage of compound interest. This all-important strategy allows investors to earn interest based on interest they’ve already earned. Over years, compound interest can have a strong effect. Despite the ample benefits of investing, there are drawbacks to be weary of. For example, all investments encompass some form of risk. Generally speaking, the riskier the security, the higher the return potential it carries. Because of this, every investor must consider whether any and all securities are in line with their needs. Investing is often thought to be something that only those with ample funds can take part in. Truth be told, even the smallest nest eggs can grow to significant sizes. This becomes especially pertinent when you look out how much time you have to save before you hit retirement. Here are a few routes you can take if you have $1,000 ready to invest. Mutual funds give multiple investors the opportunity to combine their funds and collectively invest in stocks, bonds and other securities. These securities are companies unto themselves, and they are run by investment professionals. They typically stick to a sole investment strategy and look to diversify a portfolio within those parameters. They can be actively or passively managed. Many mutual funds track market indexes. These index mutual funds mimic the performance of securities in a broad market index. Examples of indexes that a mutual fund might follow include the S&P 500 and the Nasdaq-100. Because of a lack of extensive management, index mutual funds are almost always cheaper than funds that employ active management. If you can find a no-load fund, you won’t pay a commission fee when you sell your holdings. Doing some preliminary research into mutual funds will show that they often have high minimums. Regardless of this perception, there are options from companies like Vanguard that boast minimum investments of $1,000 or less. 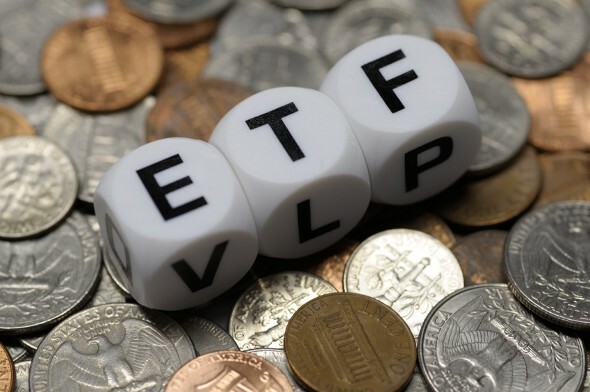 You don’t have to have $1,000 saved up to invest in an exchange-traded fund (ETF). Much like stocks, ETFs trade on public exchanges. If you want to purchase your own ETF, you only have to buy a single share. The price you pay will vary depending on your investing strategy, the ETF’s index and the broker you choose. Because of the way ETFs trade, investors typically aren’t taxed as heavily on their capital gains. Compared to mutual funds, ETFs tend to have lower expense ratios. This means you’ll probably be able to skip out on paying high administrative or management fees. While ETFs provide a relatively inexpensive way to get into the investing game, it’s a good idea to account for any additional fees or broker trading commissions you might have to cover. Also, some ETFs are riskier than others, particularly if they’re tracking indexes with prices that fluctuate repeatedly within a 24-hour period. A thousand dollars can go a long way if you invest in bonds. The government and private companies offer a number of different options for investors who don’t want to shoulder too much risk. This includes corporate bonds, municipal bonds, savings bonds and floating rate notes (FRNs). It’s best to diversify and include a variety of securities in your investment portfolio. Bond return rates alone aren’t high enough to provide you with much supplemental income or help you beat inflation. In other words, they’re best when built into an overarching portfolio. Certificates of deposit (CDs) are another type of fixed-income investment. These are essentially high-yield savings accounts. You can take your $1,000 and open an account at a bank or a credit union. Not only will you be able to earn decent returns, but you’ll also feel secure knowing that your investment is backed by the FDIC, up to $250,000. One key factor to think about before buying a CD is the fact that you might have to wait a while before you can withdraw your investment. CDs can mature after a few months or within one, three, five or 10 years. If you can’t wait until yours reaches its maturity date, you might have to pay a withdrawal penalty. A robo-advisor is a digital investment platform that manages your portfolio for you. This includes buying and selling securities, rebalancing, tax-loss harvesting and more. The company that runs the robo-advisor typically creates portfolio models that are aligned with specific risk tolerances. The robo-advisor will then go over your needs and determine which portfolio is best for you. Once this is done, your funds are disbursed into the market according to your model. As market conditions shift and returns start coming in, the robo-advisor will trade securities to keep your original portfolio strategy intact. While this process varies from company to company, it generally adheres to this setup. Robo-advisors are derived directly from the growth of technology within the investment sphere. Many investors see them as cheap alternatives to financial advisors, as they usually come with high fees. In some instances robo-advisors will even staff humans to answer your questions, though. Target-date funds could be worth investing in if you prefer a passive investing strategy to one that requires you to review your portfolio throughout the year. 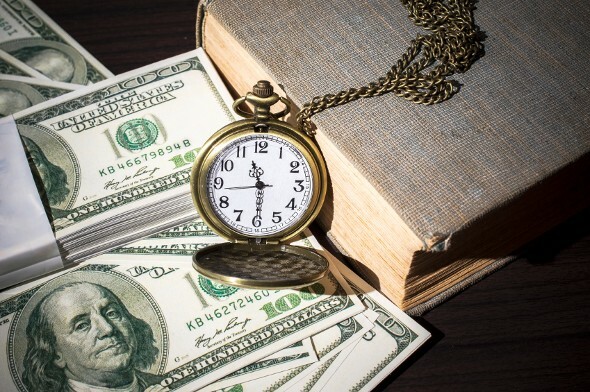 They are mutual funds that allow an investor to meet a specific asset allocation goal by a preset future deadline, such as the year the investor plans to retire. A portfolio manager takes it upon themselves to make necessary adjustments to target-date funds over time. In turn, investors can keep their hands off them until the predetermined date arrives. A target-date fund is perfect for those who don’t want to bother figuring out how to rebalance their own investments. But you won’t be able to switch up your portfolio if your risk tolerance changes. On top of this, the management fees for target-date funds can add up if you have a high expense ratio. The best way to invest $1,000 in a target-date fund is to find one that charges low fees. Whether you want enough spending money for a trip abroad, a wedding or anything else, investing just $1,000 can be a great first step toward reaching those financial goals. If you have concerns or you’re not sure which kind of investment would best fit your needs, try contacting a financial advisor who can guide you. Just like any subject, one of the best ways to learn about investing is to read up on it. Depending on how much knowledge you have going in, there are a number of books that could suit you. Take a look over SmartAsset’s list of the eight best investing books for beginners and beyond. Financial advisors spend lots of time in the investment market, making them great partners for anyone wanting to invest. An advisor matching tool like SmartAsset’s can help you find a person to work with to meet your needs. First you’ll answer a series of questions about your situation and goals. Then the program will narrow down your options from thousands of advisors to up to three advisors. You can then read their profiles to learn more about them. You can even interview them on the phone or in-person and choose who to work with. This allows you to find a good fit, while the program does much of the hard work for you.